Welcome to SitcomsOnline Digest! Christmas has come and gone, which means that next week it'll be a whole new year. But before this year is done, we've got a list of when all of your favorite series will return next year, news of some new Warner Archive releases of some classic sitcoms... and Sarah Palin playing Tina Fey in 30 Rock parody? Seriously? You betcha! Let's get going! TVShowsOnDVD.com had an exclusive this week, announcing that Family Matters will be moving forward on DVD after a bit of a break, but it will now be coming from Warner Archive. According to their information, Family Matters - The Complete Fifth Season will arrive on February 16. It looks like Warner Archive will also be wrapping up Growing Pains on January 12, with the release of Growing Pains - The Complete Seventh Season (i.e. the Leonardo DiCaprio season). 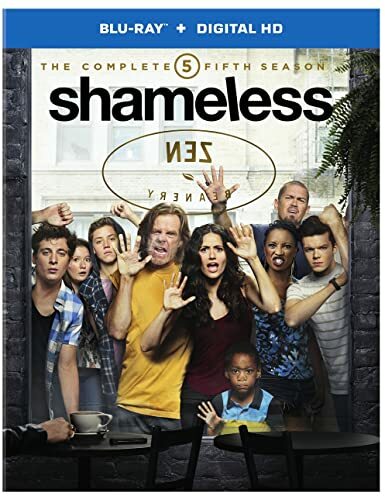 Shameless - The Complete Fifth Season (DVD, $39.98; Blu-ray, $44.96): One of the most dysfunctional families in all of television history returns with this release on DVD and Blu-ray. Who to Follow: Eva Longoria (Twitter), "Actress, Producer, Director, Activist, Philanthropist, Daughter, Sister, Aunt, Friend, HUMAN!" Claim to Fame: Eva Longoria got her start in beauty pageants, but it didn't take long for it to be seen that she had the potential to be an actress. Her first TV role was as a flight attendant in a final season episode of Beverly Hills, 90210, and she quickly became a soap star on The Young and the Restless. From there, she went on to star in the short-lived 2003-2004 Dragnet. Her biggest claim to fame came in 2004, though, when she was cast as Gabrielle Solis in Desperate Housewives. She then went on to serve as executive producer in Devious Maids. Now, with all of this "soap opera" experience behind her, she is ready to move on to a new role in a sitcom... a sitcom that is all about being a telenovela star who can't speak a word of Spanish, NBC's upcoming series (which already had a preview debut), Telenovela.